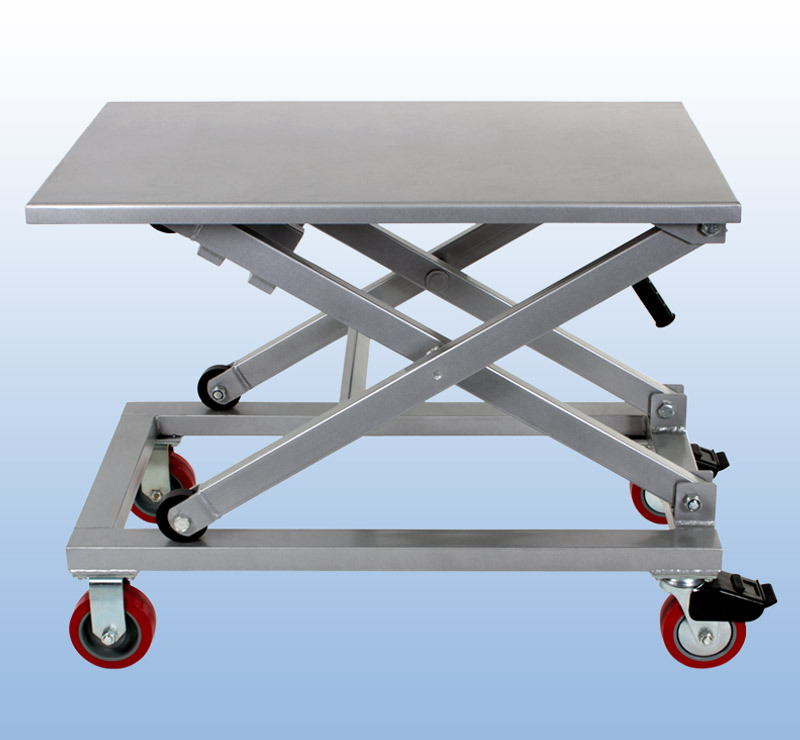 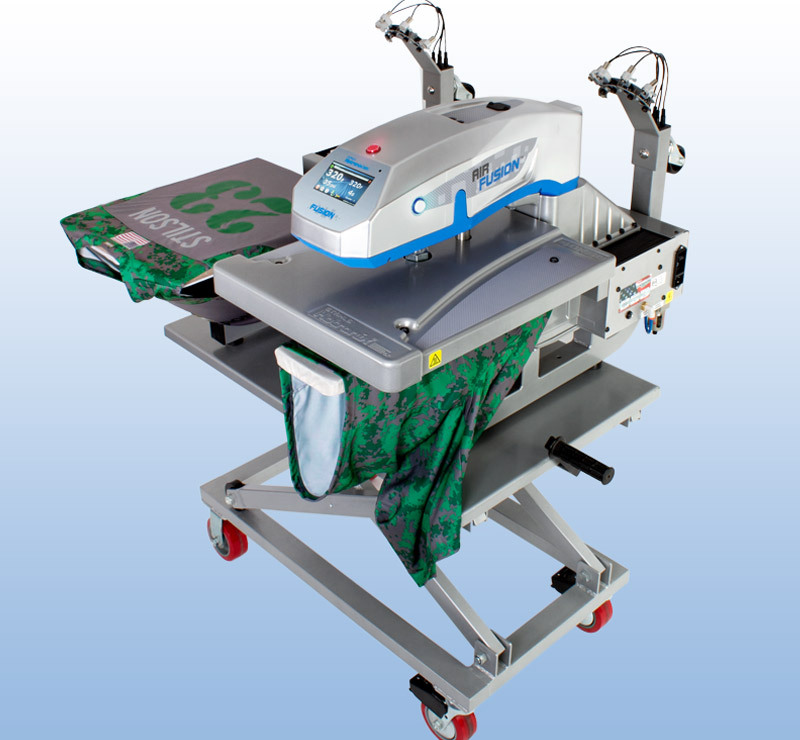 Support your heat press and more with this heavy duty steel adjustable cart. 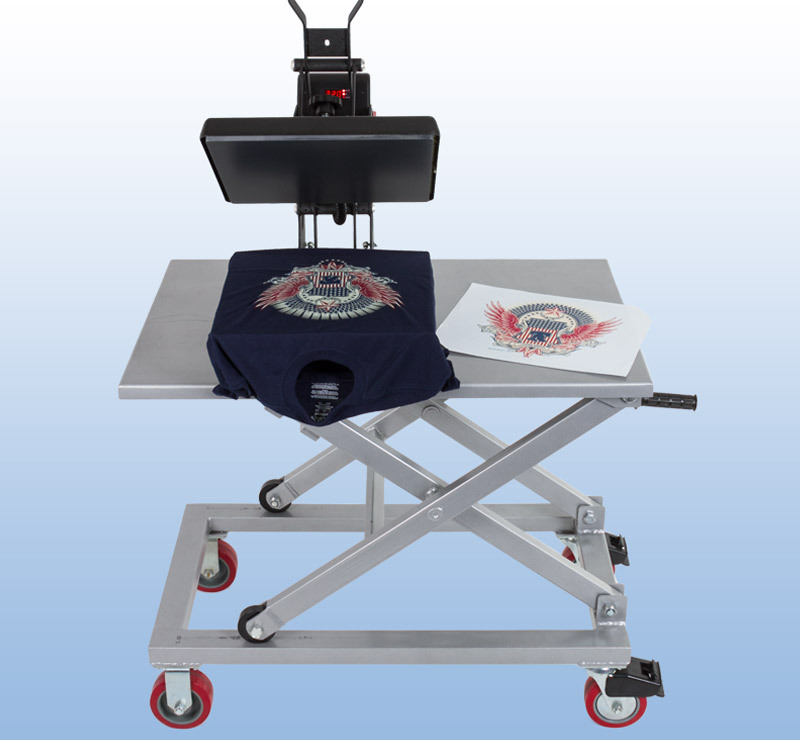 Designed to hold the Dual Air Fusion®, it can also be used with other heat presses, small vinyl cutters, printers, and more. 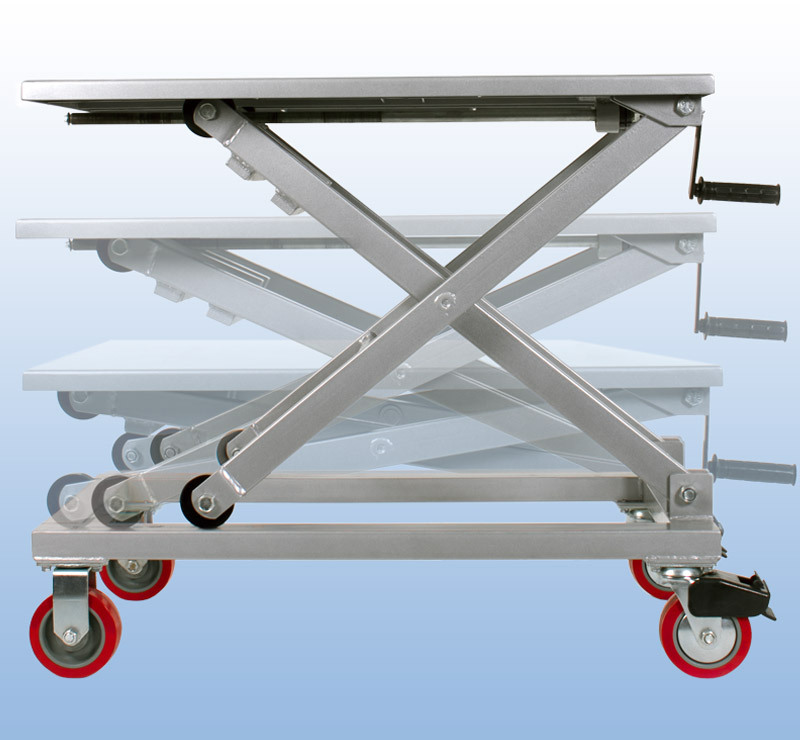 Pivoting wheels allow for easy movement around the shop or at events and lock to ensure stability. 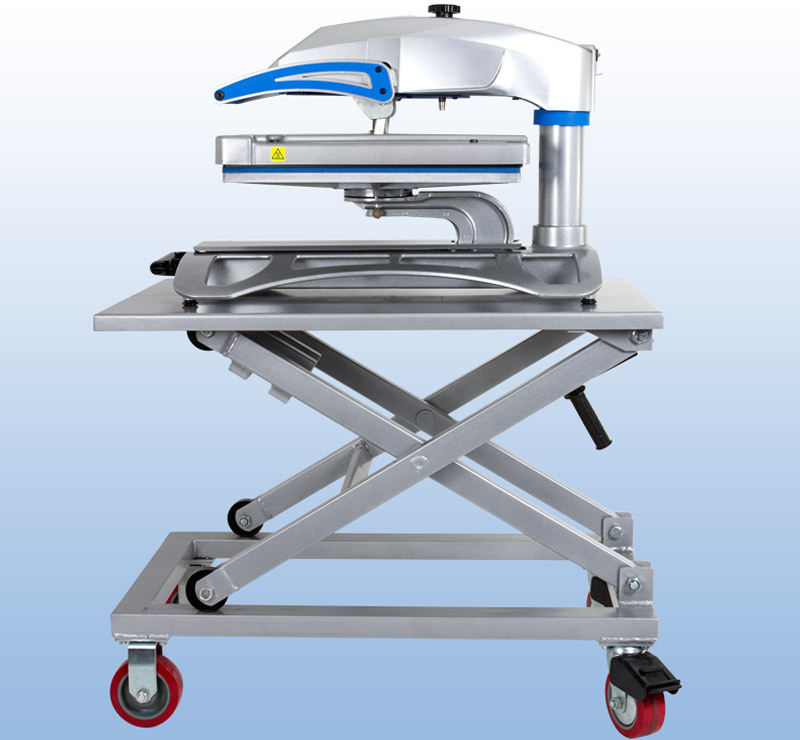 Scissor crank - with max height of 35" or lower to 17"